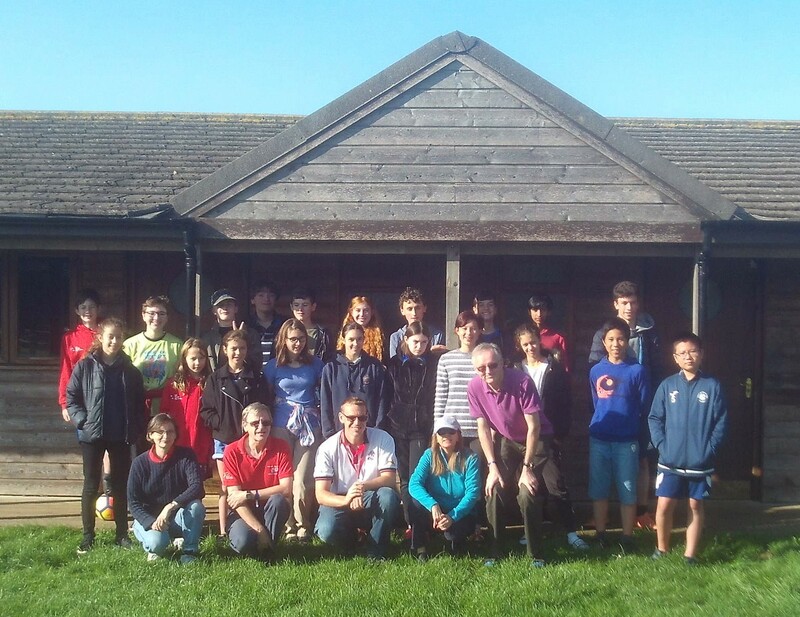 The second BGA Youth Residential Training was held like in 2017 at the PGL youth adventure centre at Caythorpe Court, not far from Grantham in Lincolnshire. The BGA group was made up of 10 boys and 10 girls aged 10 to 17 from Manchester, Letchworth, Cambridge, Lincoln and London areas, and five resident adults and two visiting teachers. Wednesday 29th August had started wet in most areas, but by the time everyone had arrived at lunchtime the weather was fair, so the outside activities could be enjoyed. The two activities were the High Swing and Survivor (bushcraft training). After dinner the youngsters assembled in the three rooms of the classroom block for the first two rounds of a Go tournament, but also to enjoy some other games (such as Battle Sheep). On Thursday, the morning was spent with the youngsters split into five groups by strength. Toby Manning, who was there just for the morning, taught the top group. Alison Bexfield, Tony Atkins, Andrew Russell, Martin Harvey and Huw Mort, helped by Helen Harvey, taught the others - the theme for 2018 being "Shape". The afternoon was warm and sunny, which was good for when the youngsters got very wet doing kayaking. After drying out and eating, there was more of the Go tournament in the evening. On the Friday morning there was more teaching, with the teachers moving up a group, including game reviews, problem-solving and lessons on good and bad shape. Just before lunch and departure there was a wrap-up session, featuring the awarding of prizes to the tournament winners who were Oscar Selby, Wenzhou Mei, Zoe Walters, Joseph Curtis and Iona Goodman. According to the youngsters the best bits were improving, doing problems, meeting people, kayaking and the Giant Swing. All were looking forward to doing it again in 2019. Last updated Sun Sep 02 2018. If you have any comments, please email the webmaster on web-master AT britgo DOT org.